Brunei’s Bash has the accolade of being first across the start line as weather gods scupper NZ hopes…for now! As sailors around the world take to the water this weekend to participate in Bart’s Bash, the global participation and fundraising event in aid of the Andrew Simpson Sailing Foundation (ASSF), we hear that owing to wild weather and gale forecasts, Sailability Wellington, who were due to kick off proceedings, have regrettably had to postpone their Bash until next week! This means The Royal Brunei Yacht Club is next in the frame for that accolade, running its Bart’s Bash race at 0700 (BST or 1400 local)! At the time of writing, over 345 sailing clubs and venues in 56 countries have signed up to participate in this year’s 3rd annual Bart’s Bash event with nigh on 5,000 sailors ‘Bashing’ throughout the weekend. Olympic medallists, Hannah Mills and Saskia Clark, Giles Scott and Nick Dempsey are all at the Weymouth and Portland National Sailing Academy today participating in Bart’s Bash afloat and ashore at the Andrew Simpson Sailing Centre. In Bermuda, America’s Cup sailors from Artemis Racing, Oracle Team USA and SoftBank Team Japan are holding their own Bart’s Bash race in memory of their friend and former colleague. However, this weekend isn’t just about Olympians, World Champions and sailing legends supporting the cause, as Bart’s Bash is for people of all abilities. 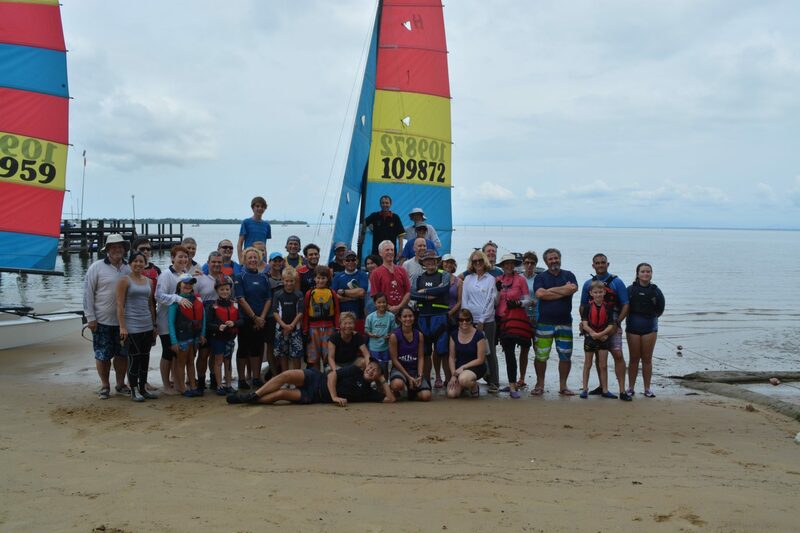 The event is primarily about having fun and about exploring the pleasures of sailing to help inspire and encourage more people into the sport of sailing. Utilising Bart’s Bash as a global awareness platform, it is also crucial to the overall objectives of the Andrew Simpson Sailing Foundation (ASSF) to promote the vital fundraising element of this event in Andrew ‘Bart’ Simpson’s name – raising money is fundamental to the cause, to build on Andrew’s legacy. Following the decision to remove sailing from the Paralympics at Tokyo 2020, the Andrew Simpson Sailing Foundation pledges to continue to promote the sport and all the benefits it brings to people of all abilities. With Bart’s Bash coinciding with the final day of Paralympic sailing in Rio today, this year’s Bart’s Bash couldn’t be better timed for getting its highly topical message heard around the world.